Ramen Raff has just turned 6 years old this month! It doesn’t feel that long ago when I started this blog. 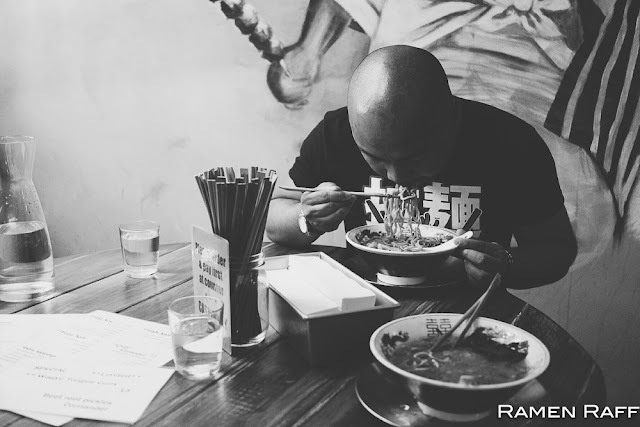 In those 6 years, I have been asked countless times where the best ramen in Sydney is. Although I love goro goro (thick curry like consistency) type ramen broths like Gumshara’s tonkotsu ramen or Tenka-ippin’s signature paitan Kotteri ramen, I do appreciate all other types and forms of ramen. Gumshara was the first ramen that blew my mind and took me to my ramen path. It still does even up to this day. This is Kotteri tonkotsu ramen at its finest. Depending on the season, Mori-san uses around 150-170Kgs of pork bones daily to create this liquid gold. The broth has a lot of body that is gravy-like but also has so much porky goodness and depth from his shoyu tare. I like the fact that they would adjust the broth for you if you find it too thick or too salty. I find the flavour perfect as it is. The tamago he uses always has that perfect slightly runny yolk. Mori-san is consistent with his work. 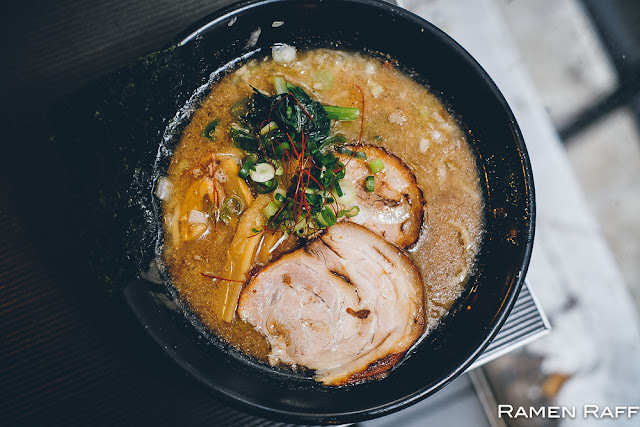 My go to ramen dishes here are their standard tonkotsu ramen with added egg and tender bbq pork skewer, the signature pork sparerib ramen, and garlic tonkotsu ramen. 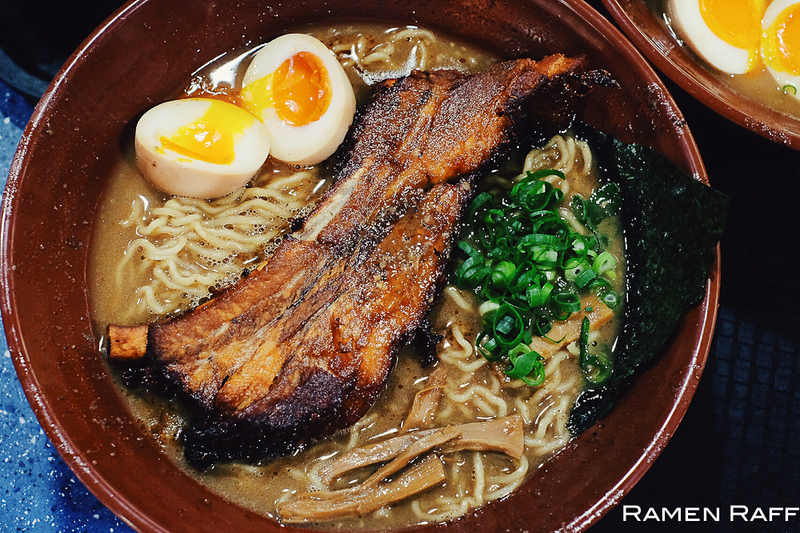 The garlic oil and roasted garlic flakes used in the garlic tonkotsu gives the broth notes of nutty sweetness, whilst the twiced-cooked pork sparerib is one big tasty fatty monster slab of meat. The umami game here is definitely strong. Also, I just love how the thick broth hugs onto each noodle strand with every slurp! 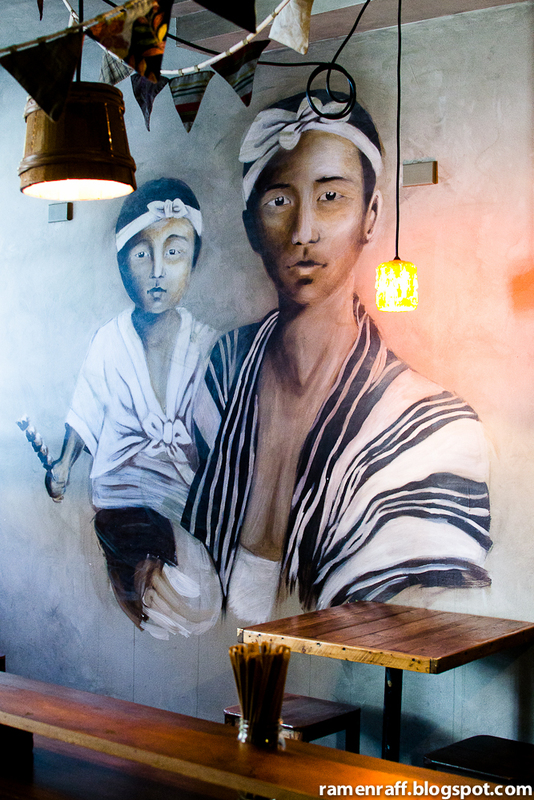 Yasaka ramen is headed by former Gumshara chef, Takeshi Sekigawa. 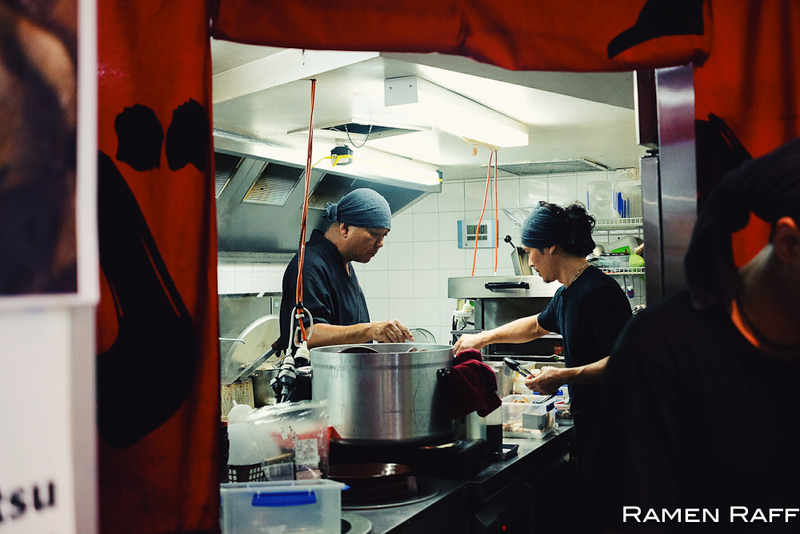 They also specialise in Tonkotsu ramen with a touch of izakaya. You can also order Japanese snacks like edamame, karaage chicken, takoyaki etc. All noodles are made in-house and the tonkotsu broth is also crazy thick and tasty! At their Sydney CBD branch, I would normally go for their shoyu tonkotsu grilled chasumen. 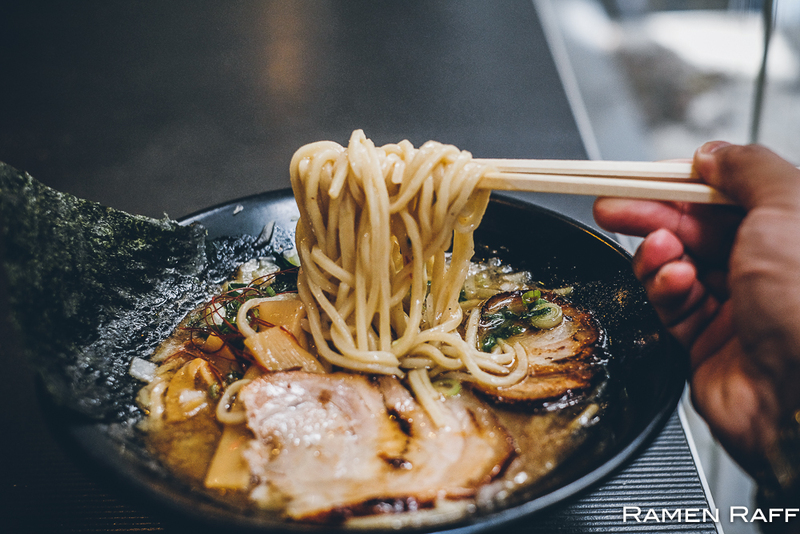 It comes with noodles, menma, spring onions, fungus nori and the best part, two large slices of grilled chashu! Ajitama is extra. 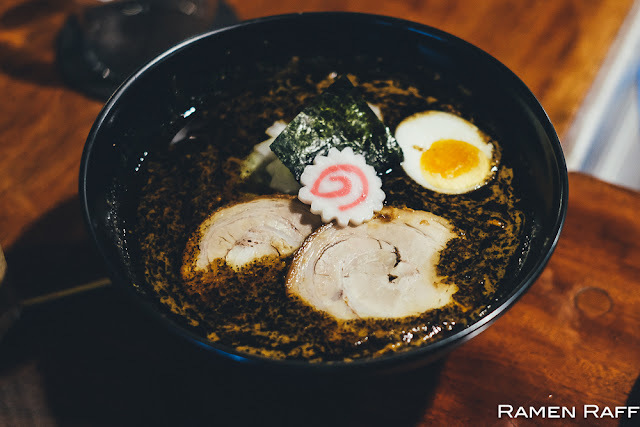 Then there’s the kokumaro ramen, which is a gyokai tonkotsu ramen that is topped with chashu, naruto, menma, spring onion, nori, bean sprouts and half ajitama. The fish flavour adds umami and smoky notes to the pork broth. 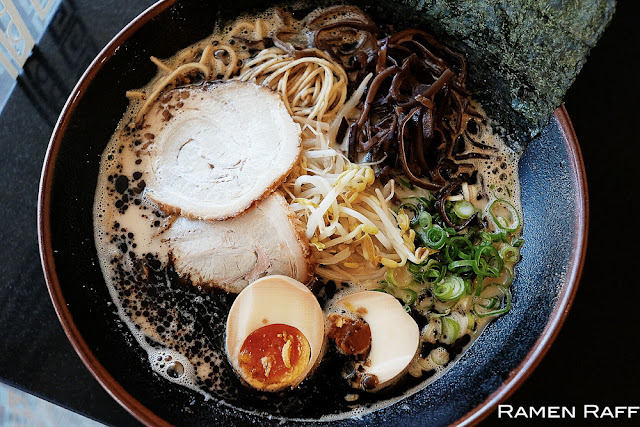 At their Neutral bay shop, I normally opt for their shoyu shin yasaka ramen, which is kotteri tonkotsu ramen with shoyu base. The broth is very goro goro with a lot of depth. 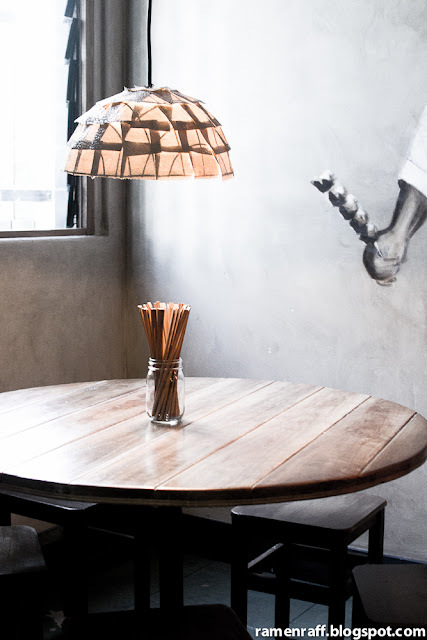 For a classic chuka soba or shoyu ramen with a twist, there's only one place in Sydney that excels in it. 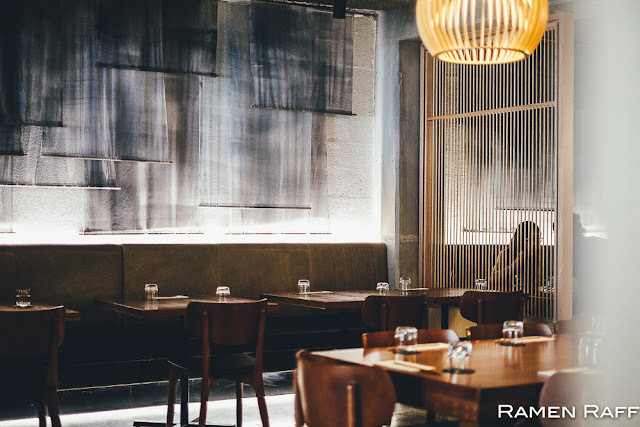 Chaco bar is normally a yakitori bar at night but transforms to a ramen bar for lunch from Wednesday to Saturday. My go to here is their fat soy with extra se-abura (back fat). The bouncy noodles are cooked to perfection and the shoyu broth has alot of depth, umami and complexity. The back fat doesn't make the broth heavy at all but just adds some density and notes of pork flavour. The chashu here is one of the tastiest I've come across with its nice and sweet caramelised edges. The ramen force is also strong at Manpuku. This ramenya is chicken broth and Tonkotsu ramen specialist. The tonkotsu ramen offerings are more of a Hakata style ramen with milky-like broth consistency, shio based tare and thin firm noodles. 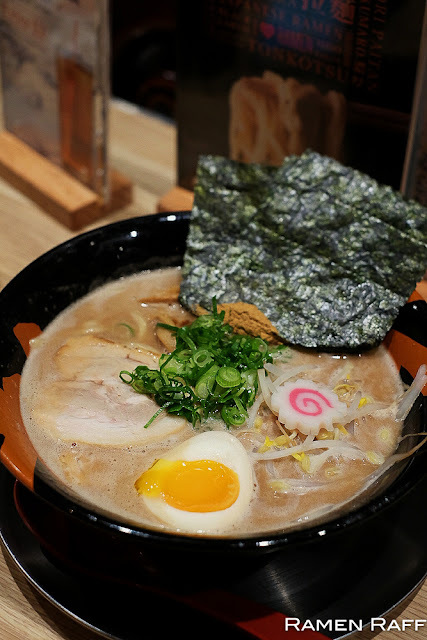 You can also get varieties of this ramen with shoyu tare and gyokai tonkotsu. My picks here are their gyokai tonkotsu ramen and tsukemen. 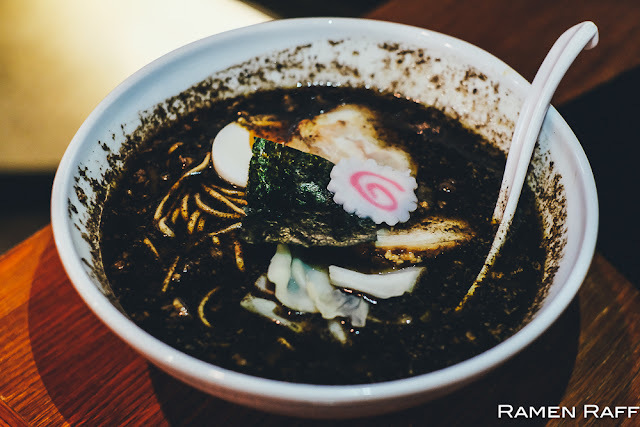 The gyokai tonkotsu ramen has shio tonkotsu broth with black garlic oil and hints of fish flavour. The fish component adds umami and the garlic oil gives it complexity. They use thin firm noodles and it’s topped with ajitama, chashu, bean sprouts, scallions, fungus and nori. The tsukemen here is outstanding! A powerful set of Shoyu gyokai tonkotsu dipping broth, thick noodles, tender kakuni pork rib, menma, ajitama, bean sprouts, nori, and shallots. The perfect dipping broth is more intense in consistency and flavour. The lemon squeezed onto the noodles helps cut through that intensity. 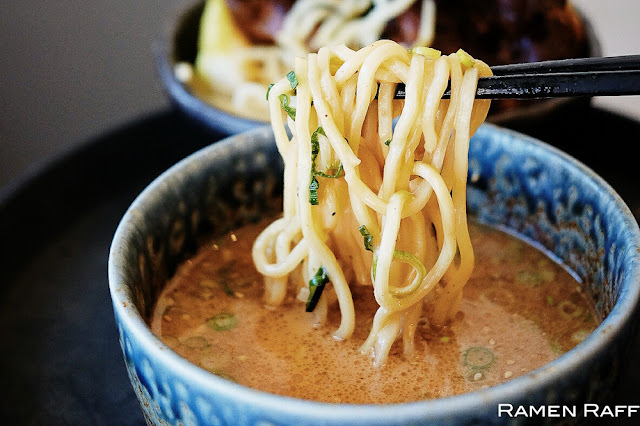 Ryo’s is the OG of Sydney ramenyas. Just like Gumshara, it has its own cult following and the original Crows Nest shop would have a queue most of the time. 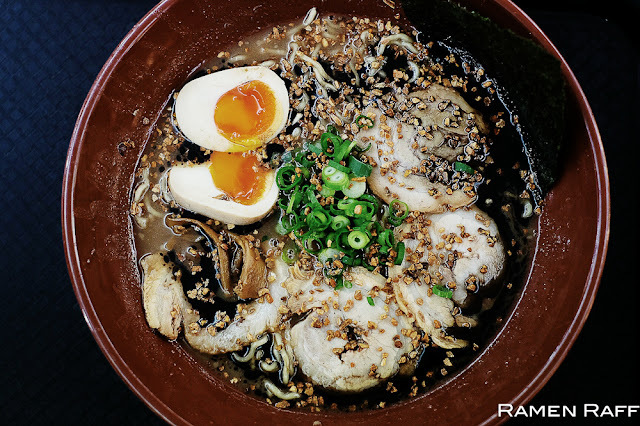 They cover all of the classics from a classic shoyu shuka soba to gyokai tonkotsu. If you hate queues, I suggest heading out to their Bondi Junction shop. I love the umami boost from fish flavourings or fish broths. My go to ramen here is their gyokai tonkotsu. Their version is a double soup ramen with pork bone broth and fish broth. 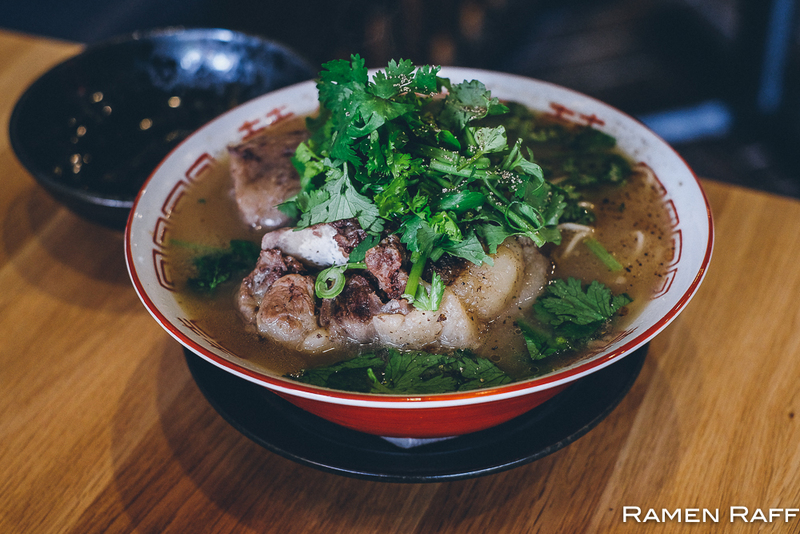 The broth has a milky consistency with light pork and light fish flavours. The shio based tare gives the broth some depth. The noodles are the standard springy type with toppings such as two slices of chashu, shallots, fried shallots and ajitama. 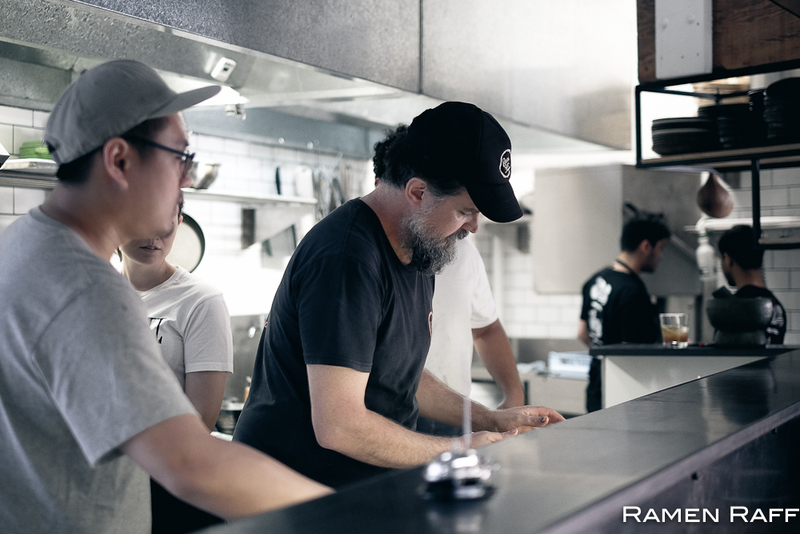 Last but not least is Nick Smith’s ramen at his hybrid eatery and motorcycle workshop, The Rising Sun Workshop. 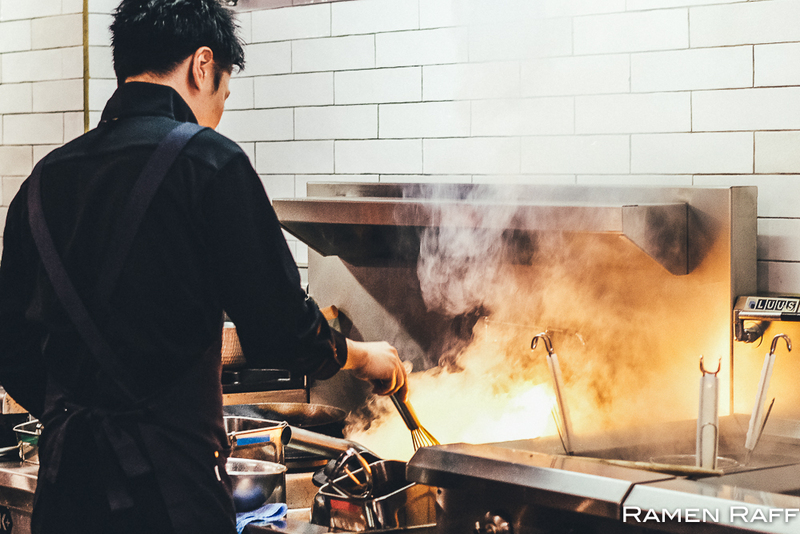 He truly gets the essence of ramen construction: Each component plays a role and layer to work towards a perfect bowl of ramen. My go to ramen choices here are his The Light and his breakfast ramen. The Light is a shio (salt) based ramen with springy ramen noodles, kurobuta belly chashu, menma, pickled mushroom, greens (kale in this case), green onion, and the best ajitama (marinated soft-boiled egg). 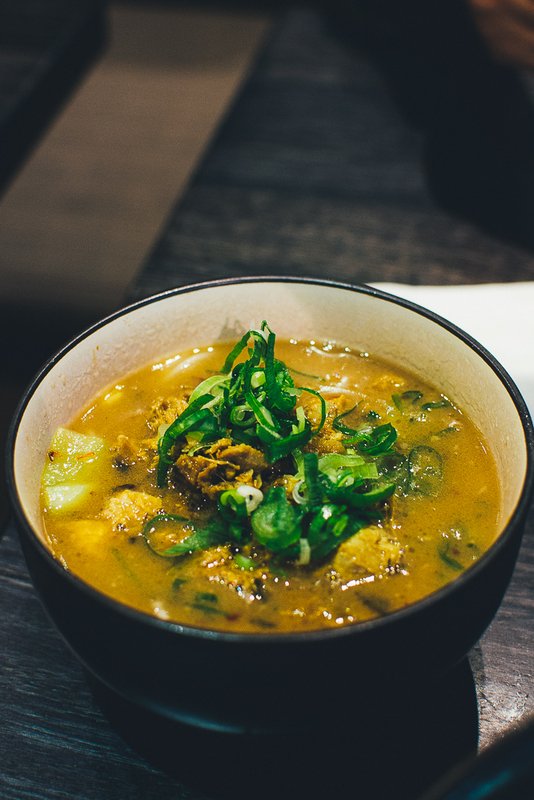 The chintan broth contains notes of chicken and fish with hints of smokiness and medium level umami. 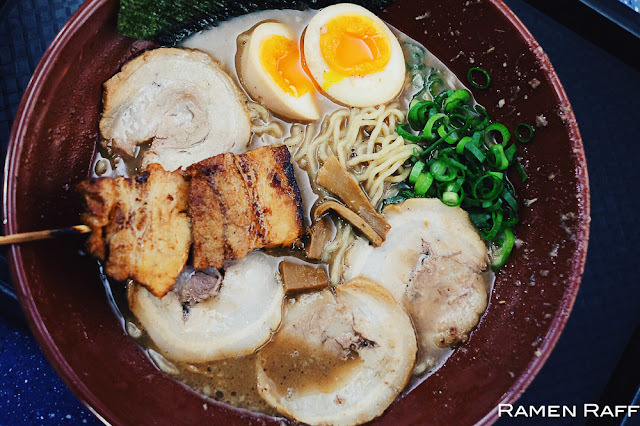 It’s an easy on the palate type of ramen but with layers and components that give so much flavour and joy. Then there’s Nick’s super innovative breakfast ramen that you won’t find anywhere else in Sydney at the moment. 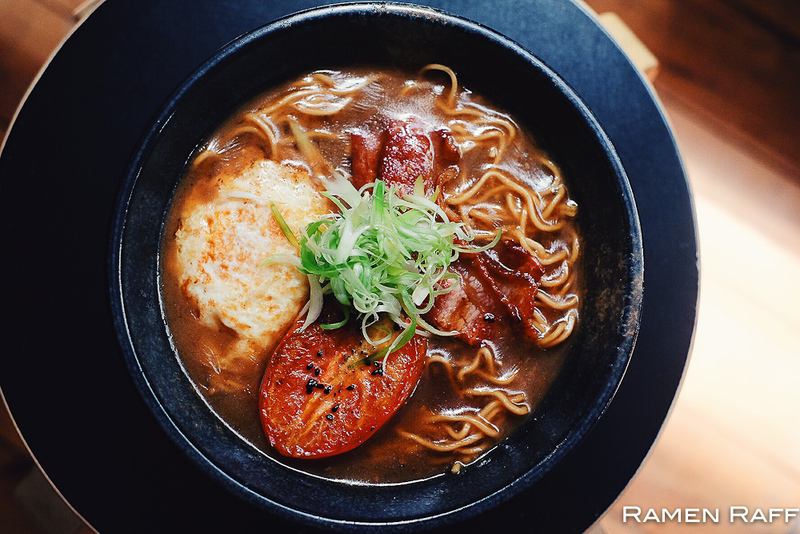 This bowl has a comforting concoction of buttered toast broth, springy ramen noodles, crispy smoky bacon, egg and grilled tomato. 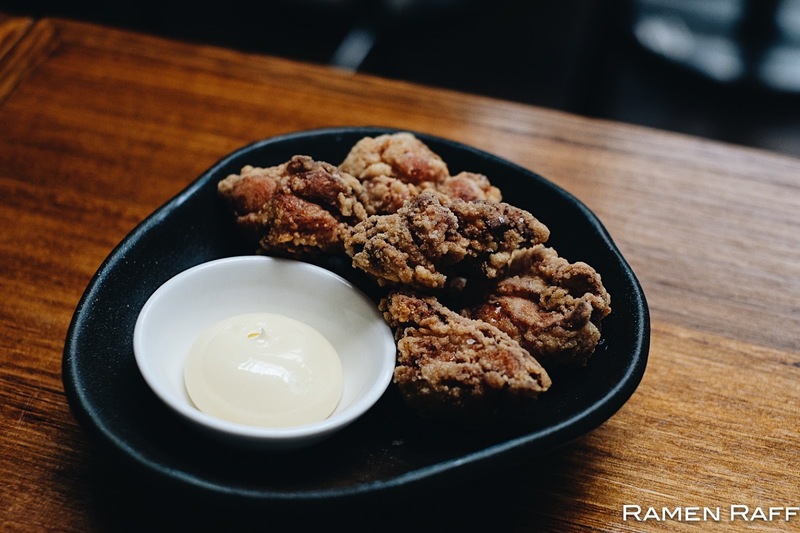 It is full of umami with so much depth. It’s a true East and West fusion that works well. My other go to place for Tsukemen is Ramen Zundo in World Square. You won't miss it when you walk down the alleyway near Liverpool Street. Just look for the lanterns near the courtyard! Their standard tsukemen ($13.90) is pretty solid. I normally like to add extra slices of chashu (3pcs for $4.80). The thick dipping broth is gyokai tonkotsu. The fish flavour is not so prominent but just enough to give it the broth some umami boost. There are also pieces of pork within the dipping broth. I really love the bouncy thicker glossy noodles that they use for their tsukemen. 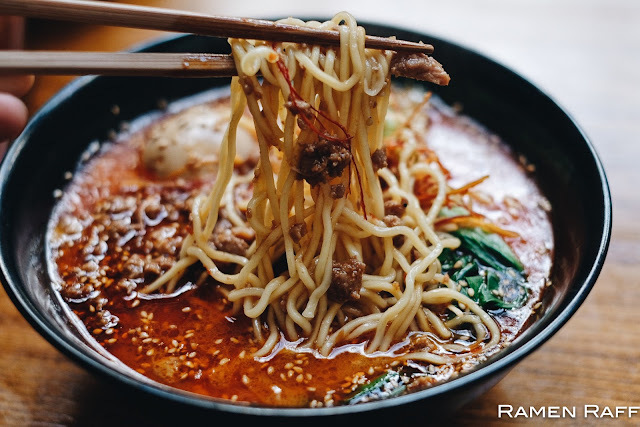 The noodles is perfect for dipping as it handles the broths thick consistency well. I didn't include O-san in this list previously due to the original shop at Dixon House closed down at the time and it was uncertain whether they will re-open. 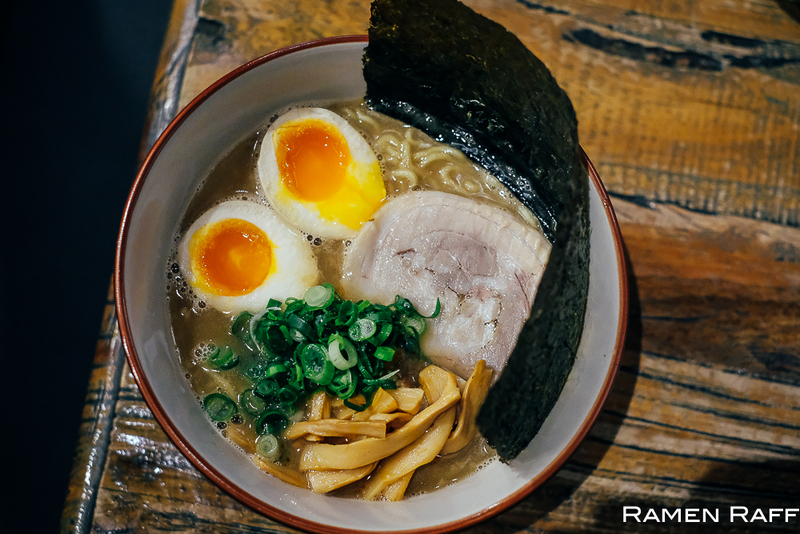 A few months ago, this tonkotsu ramen specialist relocated at Ikkyu's old spot at the Sussex Centre Food Court. 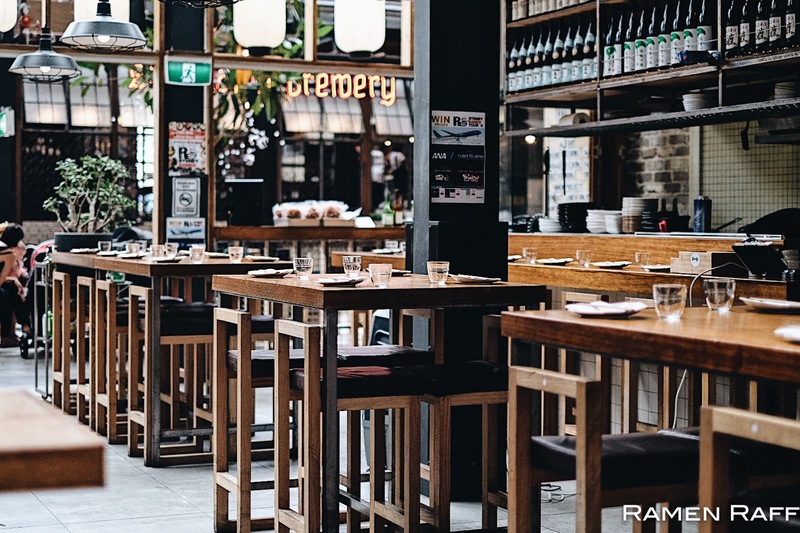 It was a very joyous news in the Sydney ramen world. My go to ramen here are their kurume tonkotsu ramen and seafood tonkotsu ramen. 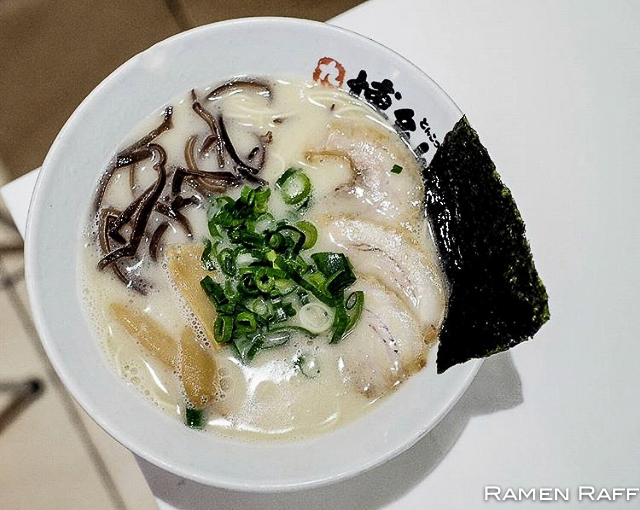 The kurume tonkotsu ($10 for small, $12 for large) is their most standard tonkotsu ramen. 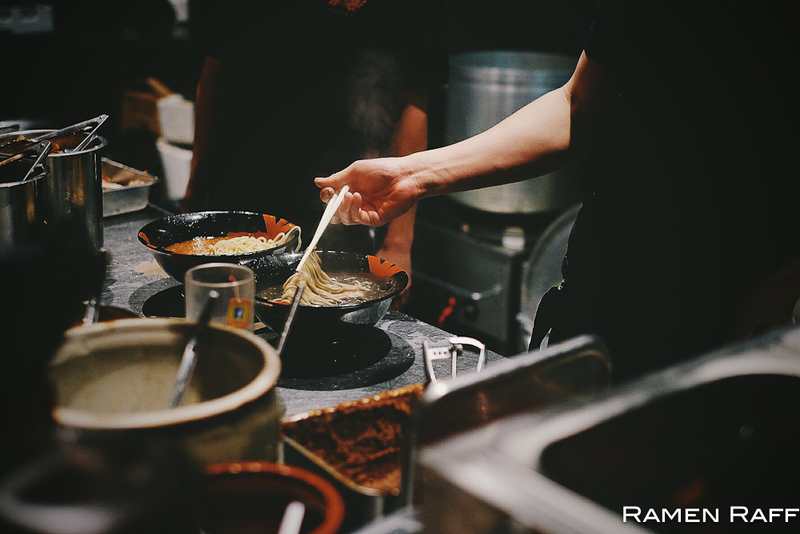 They use medium thick noodles that are firm and perfectly cooked. The super kotteri pork broth has a shoyu based tare and quite heavy heavy on back fat. The chashu at Osan is always super tasty especially with its caramelised bits! 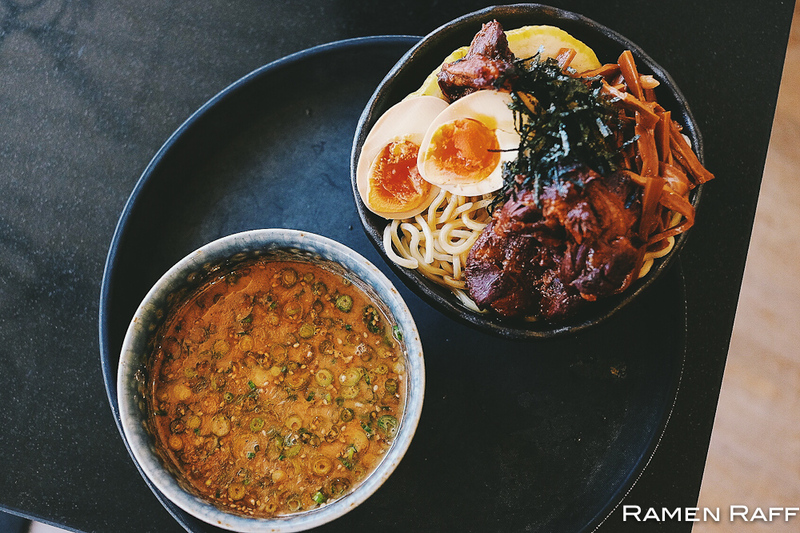 It's extra for the egg but it certainly elevates the ramen experience. The egg is slightly flavoured, the whites are firm and but the yolk remains custardy. The seafood tonkotsu ($13.50 for small, $16.50 for large) is insane! The highlight here is the shoyu gyokai tonkotsu broth, which is heavy on fish flavour (possibly a blend of niboshi and katsuobushi). Almost reminds me of Nagi in Golden Gai's niboshi ramen. The broth has depth from the smoky fish flavour and packed with umami. Topped with chashu, menma, diced onions for some sweet notes and baby spinach. These guys are new in the game but are slaying it with their ramen weekly specials served normally on a Sunday or Friday. The chef Jun-san is from Kumamoto, Kyushu so you can expect amazing thick broths from his bowls! Their tonkotsu ramen ($16) ticks all the boxes for a great bowl of kotteri ramen: smooth thick gravy-like pork bone broth with a good shoyu tare for a robust depth and umami, a nice amount of negi and chewy braised shio menma for a dash of sweetness, thick tender juicy chashu, perfectly flavoured ajitama with custardy yolk, nori and chewy curly noodles. 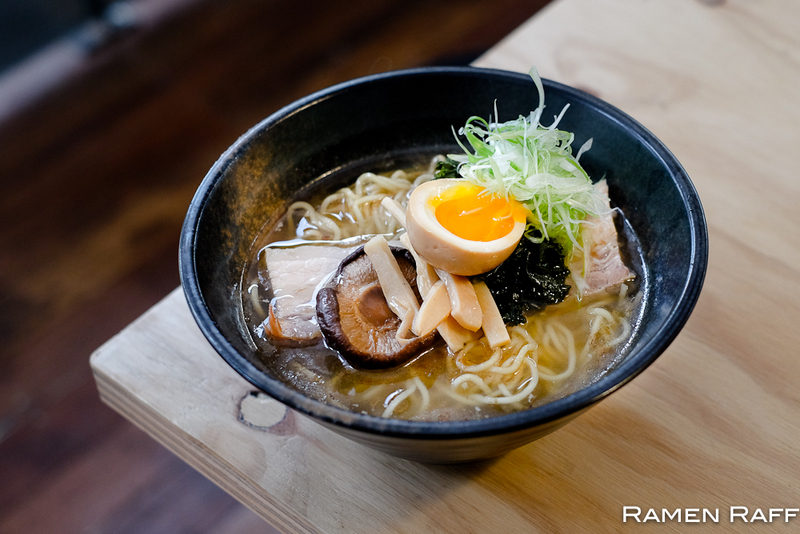 Then there's the torigara ramen ($16). 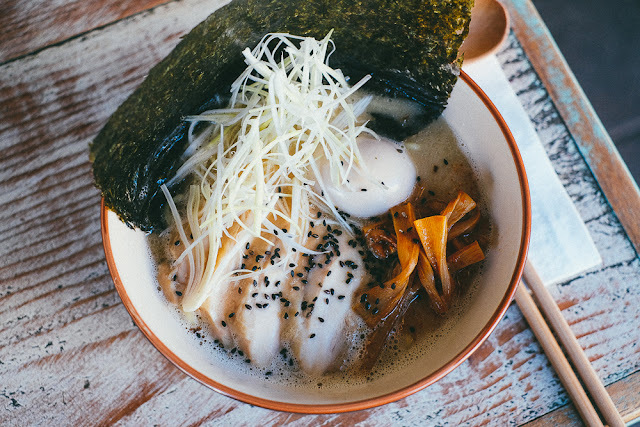 This awesome bowl has wavy style noodles and creamy emulsified chicken soup with shio tare topped with chilli braised menma, tender sous vide chicken chashu, hanjuku tamago, loads of sweet negi and nori. The salt tare brought the most optimal chicken flavour out of the chicken broth. The broth had more complexity than depth. Umami flavour is on point. I’ve had nothing but love for this restaurant since the early days of Tramsheds Sydney. I love them even more now that they have launched their Ramen Project. 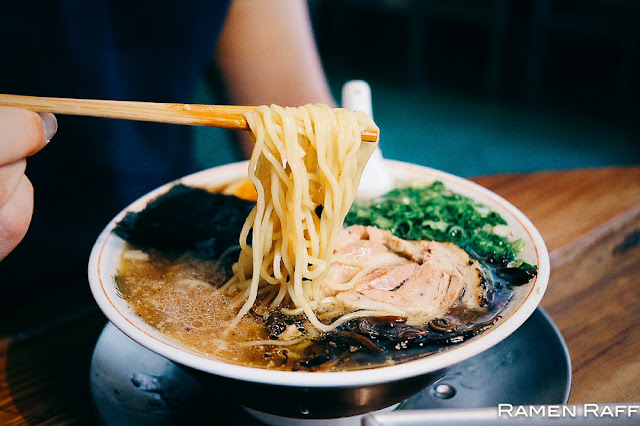 Osaka Trading has ramen offerings for lunch every day and for dinner on Mondays. 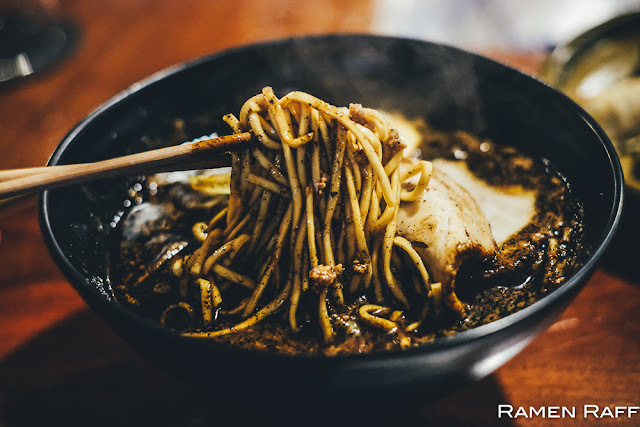 They have 3 ramen options on offer: Soy ramen, tantanmen and a soy mustard ramen. I highly recommend their tantanmen ($15). It’s a sesame and chilli based tare in a chicken pork broth ramen topped with sweet-flavoured minced pork and bok choy. They use the classic wavy noodles and are cooked medium (just a tad more soft than al dente). The broth has a bit of heat but not too spicy with strong umami. It also had some sweet and nutty notes to cut through that richness. It’s almost quite heavy on the fat but hey, you need a good amount of fat to make a good tantanmen afterall! I asked for an extra tasty ajitama on mine! Ramen lunch: Mon to Sat 11.30am to 2.30pm, Sun 12pm to 3pm. Whilst the original shop in Market City has closed, they have two others in Chatswood and a new one in North Sydney. 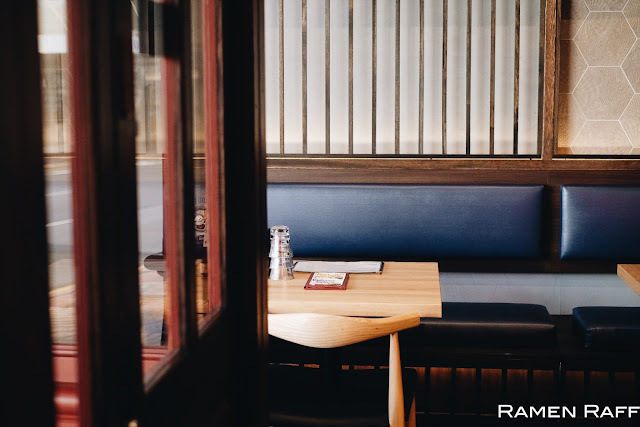 As the name states, their ramen is based on Hakata-style ramen which is milky tonkotsu broth with thin firm noodles, more than usual green onions and kikurage (wood ear mushrooms). My go to is their basic shio tonkotsu ramen ($9.80). 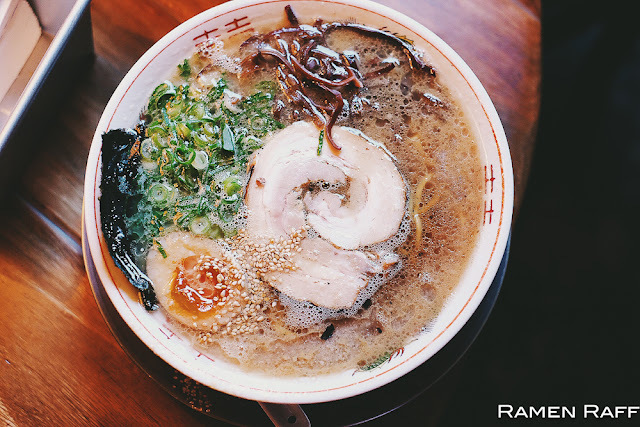 It’s a solid and straight up bowl of no-nonsense Hakata-style tonkotsu ramen. The noodles are cooked katame (al dente). It’s topped with tasty fatty slices of chashu, green onions, nori, menma and kikurage. 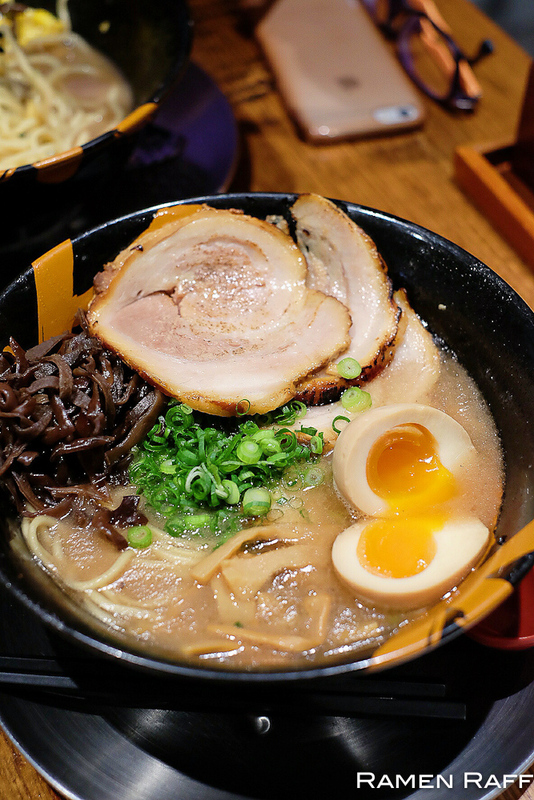 The shio ramen brings out the porky goodness of the milky broth. Not too heavy on the fat but that works for the broth. So simple but so damn good! 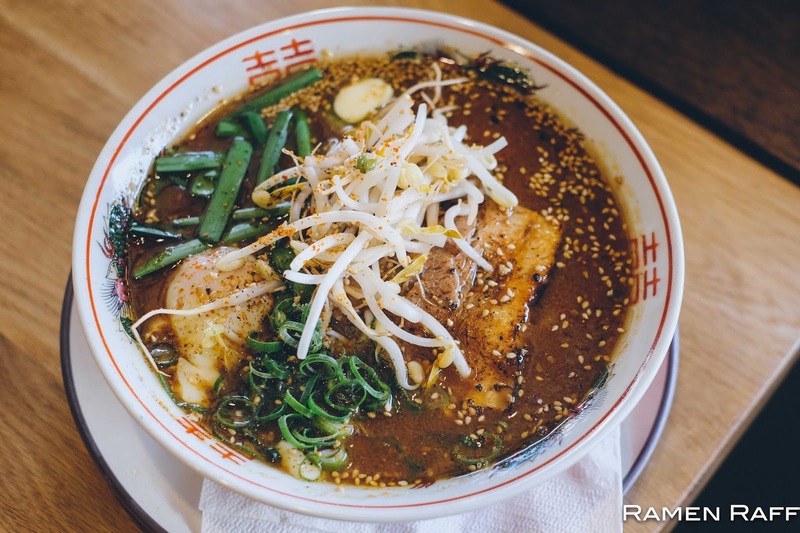 This is still my favourite Hakata-style ramen in Sydney to date. Iwao-san (owner and head chef) normally does a fusion of Spanish, Japanese and Hawaiian dishes in his restaurant for dinner time. 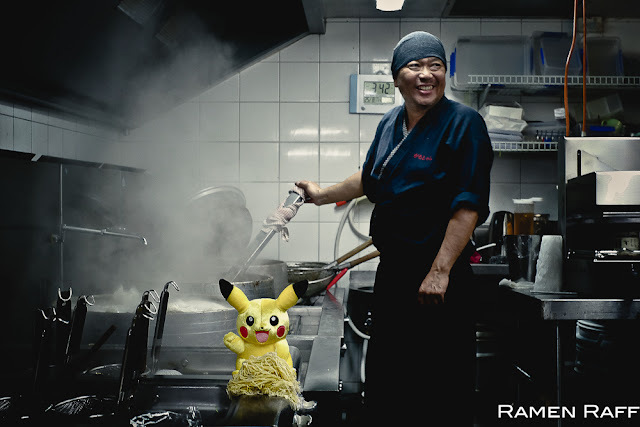 But every weekday for lunch, he brings out the heat with his ramen offerings. My favourite has got to be their Miso ramen ($18.80). It’s a massive bowl of beef and chicken broth ramen with slow cooked miso tare, aburi chashu, bean sprouts, onsen egg, negi, garlic chives, shichimi, sesame seeds and butter. Noodles were cooked katame. Spices and umami were super well-balanced. The fermented taste of the miso wasn’t too pronounced, which really works well in this bowl. Broth consistency was light to medium. Chashu was super tender and flavoursome. 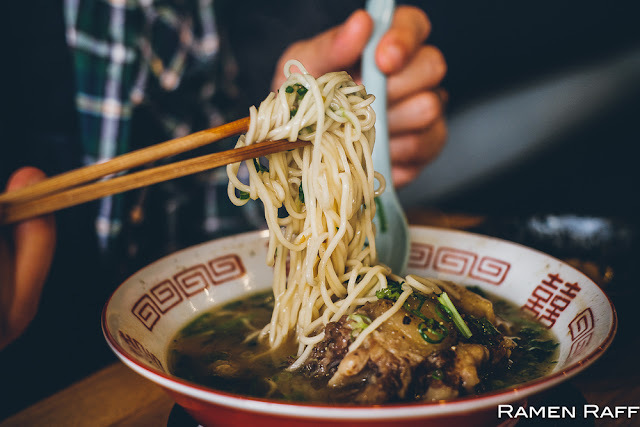 Their oxtail ramen ($16.80) is another regular on the lunch menu. It’s a Hawaiian style ramen with medium thick noodles in a bold beef broth that was reminiscent of Vietnamese pho and Filipino beef nilaga (Braised beef hot pot). It was topped with coriander leaves, negi and braised fatty buttery ox tail meat. This dish is very Japanese in concept but with core Pacific island flavours. Chef Haru Inukai has recently opened a new Japanese robata grill restaurant with Chef Shimon Hanakura in the heart of Darlinghurst called Gaku. 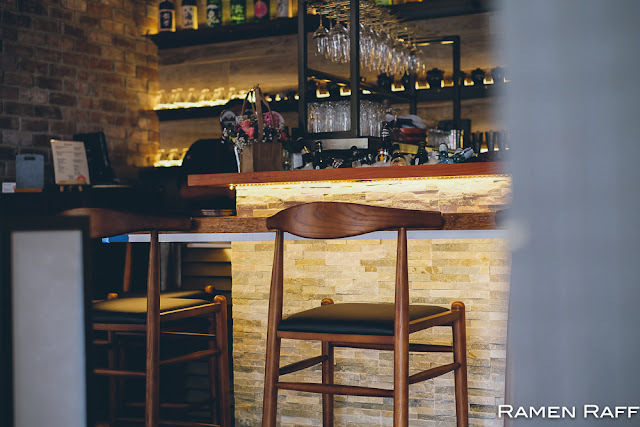 It will be serving mouthwatering grilled meats, modern izakaya style dishes and a solid range of Japanese sake for dinner. But every lunch time, Gaku is a ramenya. 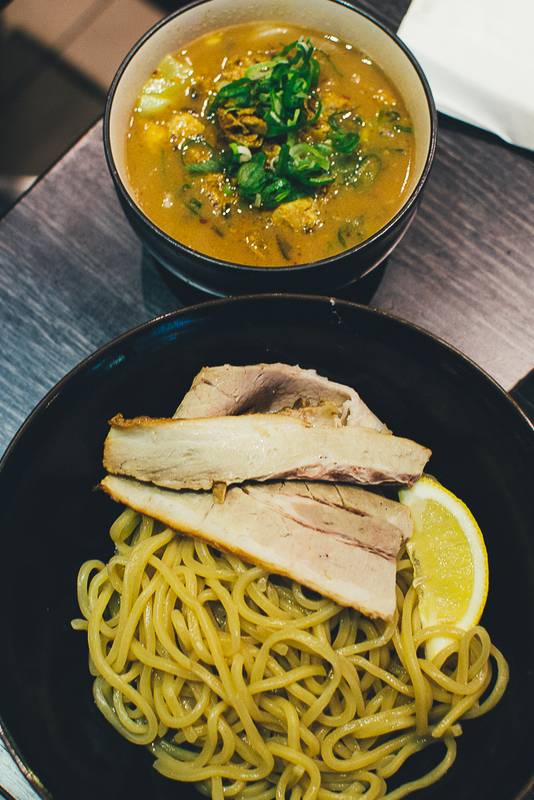 The yuzu duck ramen ($17) is like no other in Sydney. The broth consists of hints of yuzu citrus flavour from the jus, which brings out this nice smoky duck flavour and some peppery notes in the duck consommé-style broth. The bouncy noodles are cooked somewhere between katame and medium. It’s topped with tasty sous vide duck, duck meatballs, sweet and crispy fried burdock sticks. 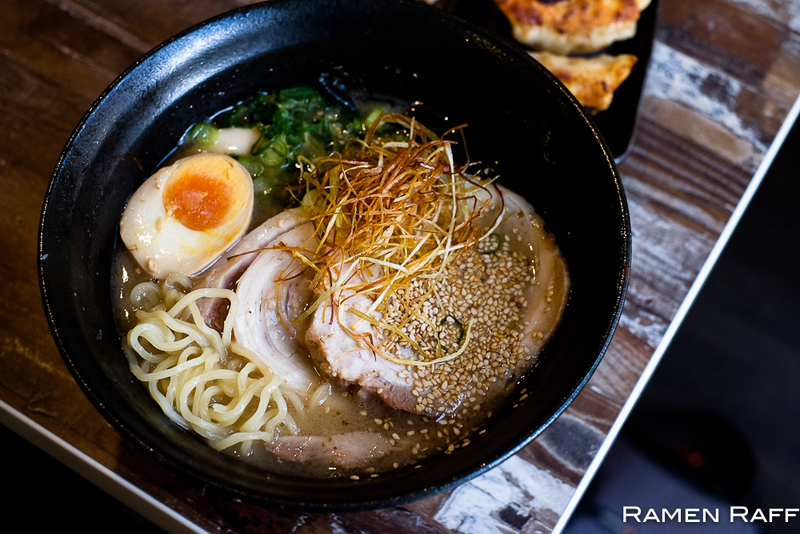 It’s quite an innovative bowl in my opinion and a good example of Haru’s expertise in modern refined-style ramen. 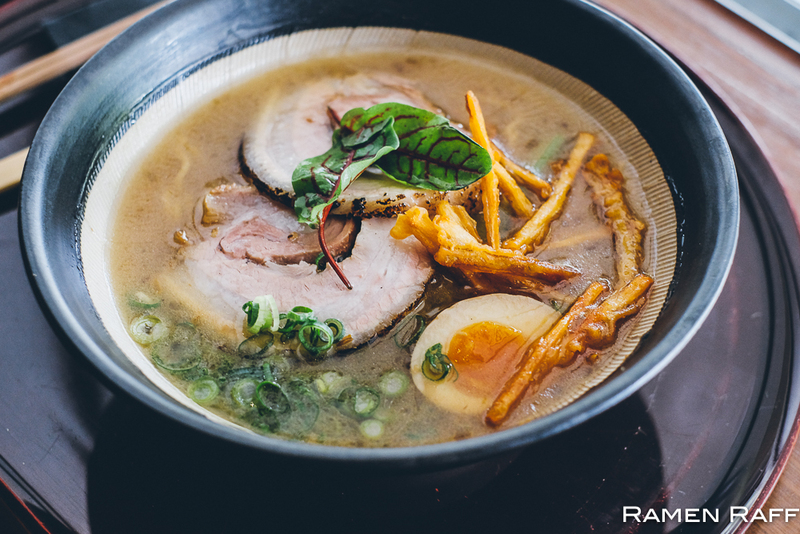 The chicken tonkotsu ramen ($16) is more of a classic. 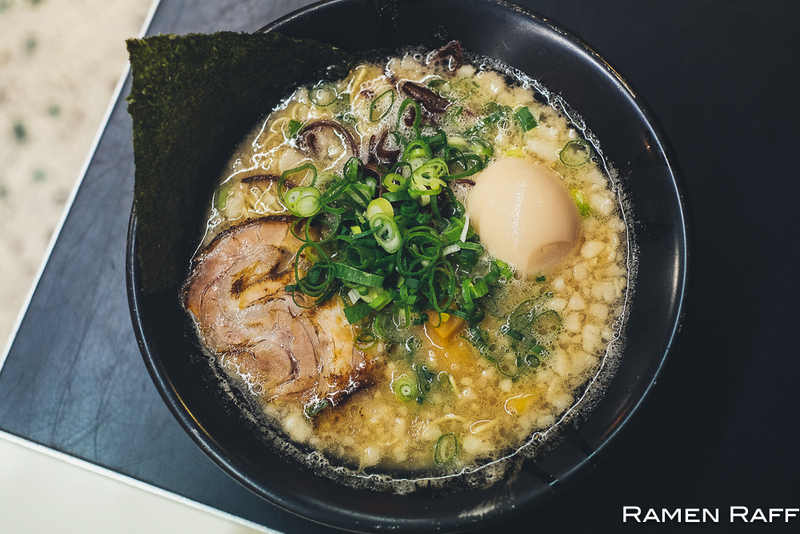 A bowl with broth that’s rich in umami and heavy on the chiyu (fat) but not too dense in consistency. The aburi chashu here is extremely good! Both fatty, smoky and flavoursome. This is probably my favourite between the two bowls. It’s also topped with negi, flavoursome half ajitama and fried burdock. 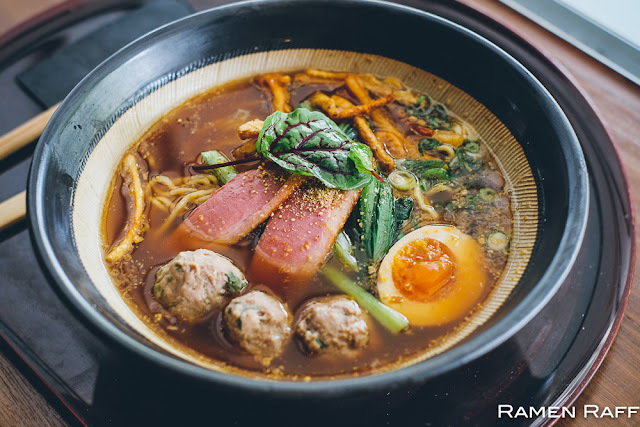 The Ippudo group has graced Sydney with Gogyo Ramen’s presence in our great city. The ex-Salaryman spot was taken over by Gogyo. I have fond memories of their Kyoto shop. Their signature Kogashi (burnt) shoyu and miso ramen has so much umami and smokiness that you are sure to leave their shop amazed. If you sit by the counter, you can watch the chefs char, caramelised or burn (whatever you want to call it) the miso or soy tare that’s used in their Kogashi ramen. The Kogashi miso ramen ($18) is my favourite at the Kyoto shop and is also my favourite here. I feel like the miso carries the sweet smoky profile better and bursts with more intense umami in the chicken broth. My only criticism is that the broth could be heavier and more dense just like the Kyoto shop’s version and the egg yolk in the half umami egg (or ajitama) could be a tad more runny. 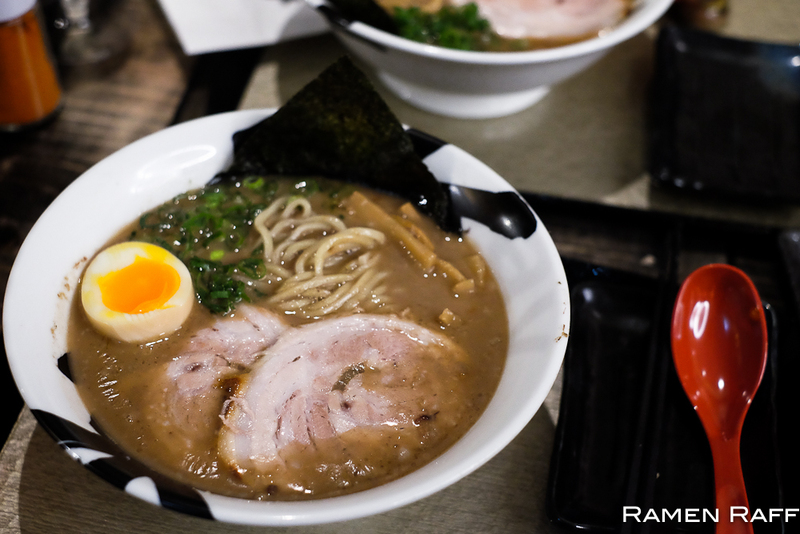 Having said that, the broth still has amazing flavours and the chashu is still delicious and tender. The thin katame low hydration noodles here handles the heavy broth extremely well. Love the bite on their katame noodles. You also get toppings like nori, cabbage and naruto (fish cake). The Kogashi shoyu ramen ($18) on the other hand is a little more light on the palate with nutty notes in the broth but still packs umami. Thin katame (al dente) noodles is also used and topped with half umami egg, cabbage, naruto and nori. Woohoo! Happy 6th bloggiversary, Raff! 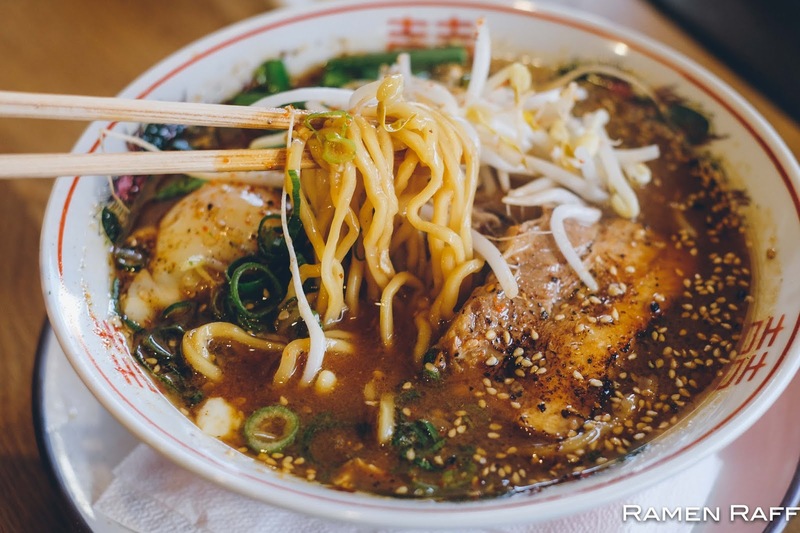 Your post def has me craving ramen! Woah woah happy 6th blogiversary! Here's to many more years of ramen to come! Congrats on 6 years Raff and a very Happy New year! 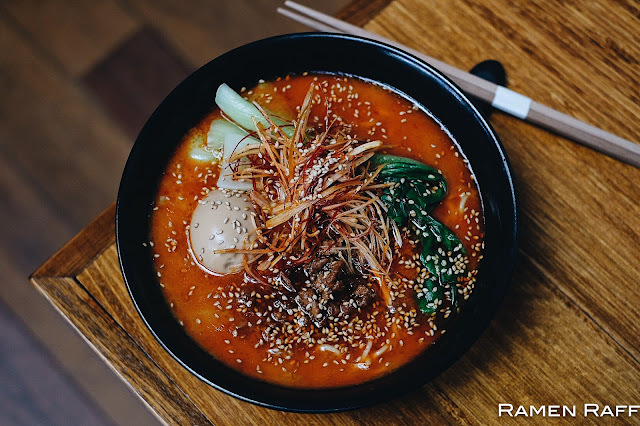 I'm a ramen novice, so I'm hoping this winter you'll take me under your wing and take me to your FAVOURITE ramen joint :) Please and thank you! Congrats on the 6 years! A very solid effort!